Ford's Oakville assembly plant is one of several Ontario factories building vehicles and shipping them to the United States. The five-year outlook for Canada’s auto sector remains strong, according to the Conference Board of Canada's latest outlook for the industry. 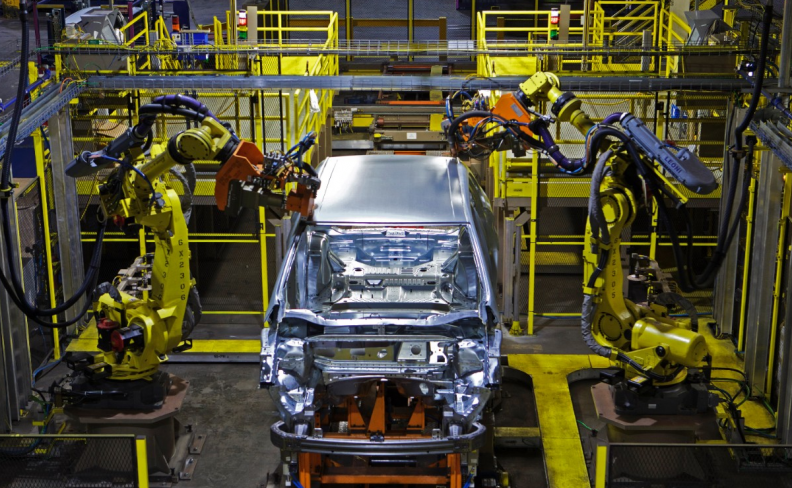 Broad economic conditions remain strongly positive for Canadian motor vehicle manufacturers, says a report entitled Canada's Motor Vehicle Manufacturing Industry: Industrial Outlook. Low fuel prices, robust labour markets, low interest rates and a favourable currency situation have pushed U.S. demand to record levels for two consecutive years, and the industry’s financial performance is improving as a result, the report says. Since contract negotiations between the Detroit Three automakers and the union Unifor in late 2016, automakers in Canada have committed more than $2 billion in upgrades to plants, machinery and equipment here. “These investments represent a commitment to an ongoing Canadian automotive industry,” the board said in a statement. Despite a softening U.S. market, the Conference Board of Canada forecasts five more years of strong demand for Canada-made vehicles. The seasonally adjusted, annualized sales rate in the United States in June came in at 16.54 million, the lowest pace of sales of the year and slightly below the 16.6 million average estimate of analysts polled by Bloomberg. June marked the fourth straight month the SAAR has dropped below 17 million after six straight months above that threshold, including 18.38 million in December. The Conference Board of Canada remains bullish. “Looking ahead, demand for Canadian vehicles is forecast to remain strong, with U.S. light vehicle sales averaging above 17 million units on an annual basis over the next five years,” it said in a statement. However, Morgan Stanley analyst Adam Jonas told Automotive News on July 3 that the U.S. new-vehicle market is entering a period of an “eroding plateau,” when the SAAR remains at healthy levels but overall monthly unit volume continues to decline or remain flat year over year. The conference board has a different concern, though. Canadian auto exports could be at risk due to the renegotiation of the North American Free Trade Agreement. Early indications are that the United States will seek to adjust the current rules of origin for autos and parts in the upcoming NAFTA talks, scheduled to start Aug. 16. Currently, light vehicles, engines and transmissions must have 62.5 per cent North American content before they can be imported duty-free into Canada. Any changes to that rule are likely to take one of two forms; an increase in the current levels of required North American content, or the imposition of U.S.-specific content requirements. If those changes are too restrictive, they could reduce the attractiveness of Canada for auto-related investment. Dave Phillips of Automotive News contributed to this report.